Ibaa remembered the victims who had died on impact, those who were stuck under the rubble and those taking their last breaths. She felt shaken by the criminality of the regime and the oppression that civilians endure, even when they are sick or wounded. Ibaa at the Syria Civil Defence Forces branch in Maarrat al-Nu'man, Idlib Province. Photo courtesy of her father, given to SyriaUntold). Nayef al-Bayoush is a Syrian writer. Ibaa al-Tohma (23) could not stand idle in the face of shelling, killing and destruction in her hometown Maarrat al-Numan. With courage, she began exploring horizons that she had never considered before. She became a rescue worker, responsible for transporting the wounded and searching for people trapped under the rubble in the wake of shelling and air strikes by the Russian-backed Assad regime. She served in Syria’s Civil Defence Forces, known to the world as the White Helmets. Ibaa saved the lives of the innocent. 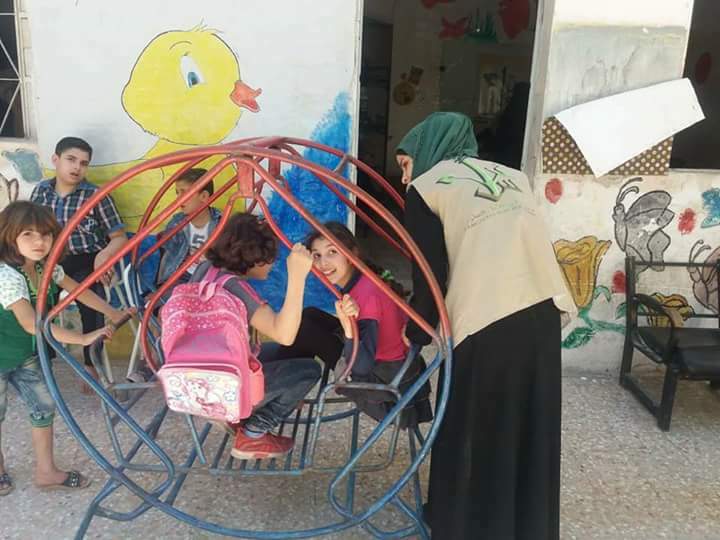 Ibaa was also one of the first female volunteers to work in field hospitals in Idlib countryside when the Syrian revolution started, specifically in 2012. She actively participated in women’s protests and aided the wounded protesters in Maarrat al-Numan. She grew up in a family made up of a mother, father and seven sisters, most of whom had been working in the medical field as rescuers and nurses since the outbreak of the Syrian revolution. Boldness and courage were traits her relatives say she displayed from childhood. She did not hesitate to join the revolution despite the security forces’ heavy-handed crackdowns against protesters. Ibaa is now part of the Ghorras al-Amal Voluntary team and helps care for children with special needs. But Ibaa’s path was paved with hardship and danger. She even suffered an injury that almost killed her, after a raid targeted the Doctors Without Borders (MSF) hospital where she worked from May 17, 2015 until her injury on Feb. 15, 2016. “While we were overwhelmed with work, we heard a loud thud. The hospital was crowded, and the smell of blood and lead filled the air. I could only hear the whimpers of the wounded and the sirens of ambulances that were our last hope for survival,” she tod SyriaUntold with tears in her eyes. “The hospital was completely ravaged and out of service. Several nurses and I were gravely injured. I had a fracture in my right hand and another in the clavicle. I suffered internal bleeding that resulted in a splenectomy,” she explained to SyriaUntold. 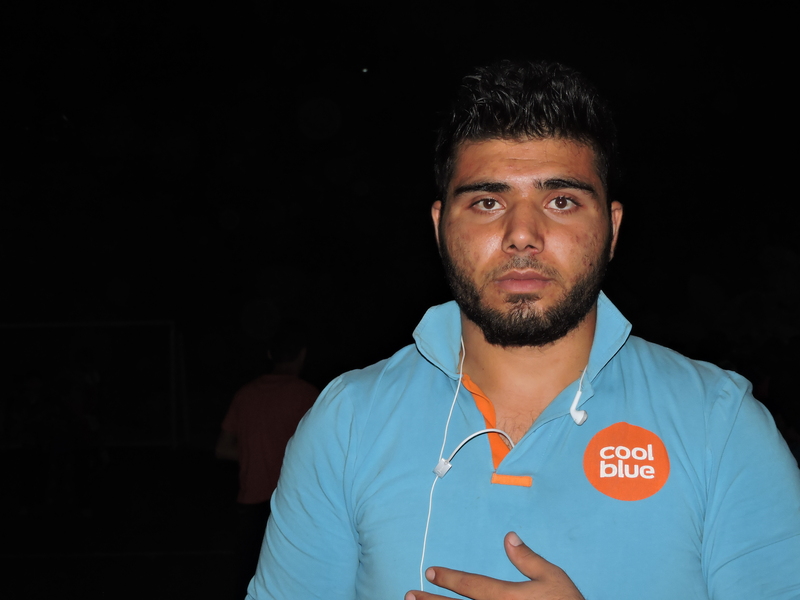 Ibaa underwent a six-month treatment in Syria. She recalls that as one of the toughest periods of her life. But thanks to physiotherapy and treatment at the National Hospital in Maarrat al-Numan and Al-Sham Hospital, among others, she recovered. She regained her physical strength but not her psychological well-being. The bloody images she saw kept replaying in her mind. Ibaa remembered the victims who had died on impact, those who were stuck under the rubble and those taking their last breaths. She felt shaken by the criminality of the regime and the oppression that civilians endure, even when they are sick or wounded. Nevertheless, Ibaa who was among the first female volunteers in women’s Civil Defence Forces in Maarrat al-Numan from Sept. 22, 2016 until March 8, 2018 was unstoppable. “I felt I could do anything for the wounded. I did field and first aid work, and I removed the people stuck under the rubble and transferred the wounded to medical centers for more than two years,” she said. Ibaa experienced heart-wrenching situations on the job. “It was painful for me to see children and women dying under the rubble. We were helpless because the damage was huge and we did not have enough equipment,” she said, not realizing that fate had worse catastrophes in store for her. 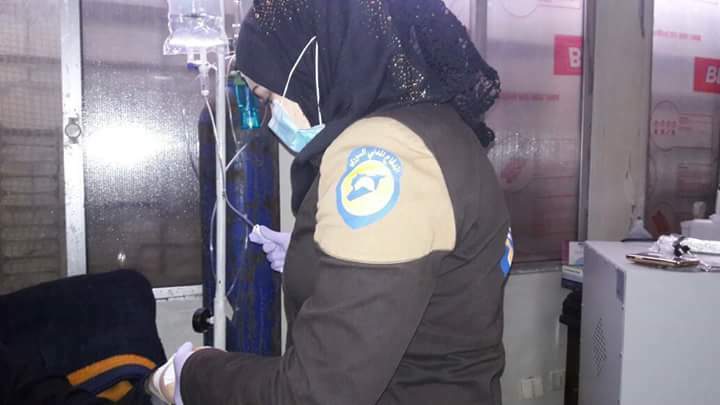 Among the incidents that left a huge mark on her and shocked her was her house being targeted with thermobaric bombs while she was at the civil defence center performing her duties. “We heard the news about the military aircraft shelling the city. So, I went with the civil defense team as usual to check out the targeted place. We were getting closer to my family’s house. I was not expecting this at all. I fazed out for a bit. I could not believe those people under the rubble were my siblings and parents. I can never forget these images,” she added. The shelling killed two of her family members and left the others with wounds varying from mild to critical. Ibaa at work at the Syria’s Civil Defence Forces branch in Maarrat al-Nu'man. Ibaa disregarded the Islamist factions’ objections to women undertaking relief work alongside men. She overcame the difficulties by persevering in her job and showing them the importance of women in such fields. In some cases, women are needed to help other wounded women, transport them to hospitals, offer them treatment and sterilize their wounds. All these factors helped Ibaa keep her job and protected her from Islamist attacks. 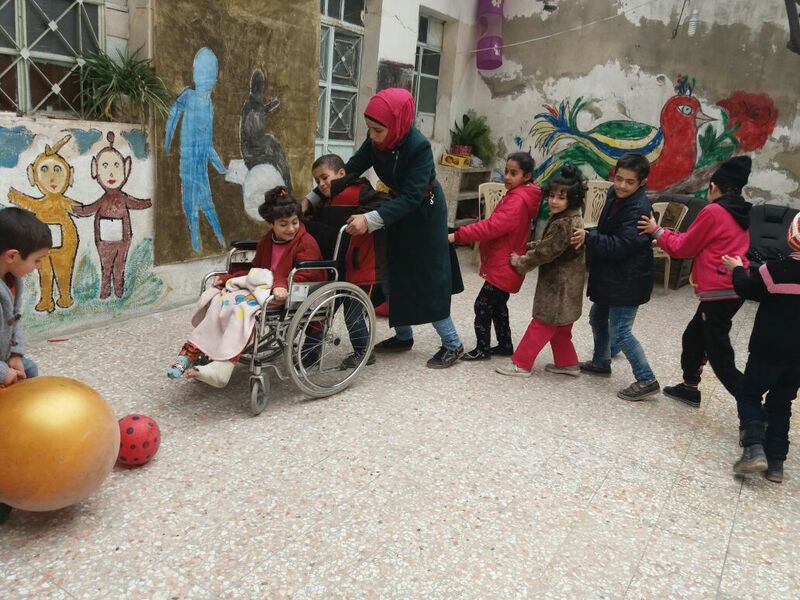 Ibaa has been working with the Ghorras al-Amal Voluntary team, to serve and help children with special needs since March 14, 2018. She left her job at the Civil Defence Center despite her love for it due to personal disputes with the administration. As part of the Ghorras al-Amal Voluntary team, Ibaa offers psychological support and works as a coach and data entry officer. She likes her new job as it makes her feel proud and happy. She helps marginalized children who were victims of the war, which left them physically or psychologically disabled or deprived them of their simplest rights in life—the right to normal movement, education and integration with others. Like many Syrian women, Ibaa has sacrificed for the Syrian cause and immersed herself in humanitarian action.